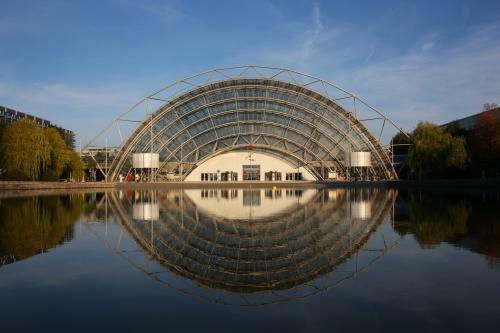 The CCL was opened in 1996 alongside the Leipziger Messe Exhibition and Convention Centre, and it lives up to the most advanced technical standards. 23 halls and rooms, and spacious foyers and exhibition areas, make it perfect for all kinds of event layouts. Set in a park landscape, just outside the city center, the venue features architectural beauty, culminating in its eye-catcher the Glass Hall. Please visit our accommodations menu for more information. Leipzig is the most populous city in the federal state of Saxony, Germany. With a population of around 600,000 inhabitants, it is Germany's tenth most populous city. Leipzig is located about 160 kilometres (99 miles) southwest of Berlin. The city is a place where great art can be enjoyed just a few steps away from an exciting world of outdoor activities. With a history going back almost 1,000 years, this Saxon metropolis has earned more than a few claims to fame – as a city of music, of commerce, of heroes, and as the site of the Peaceful Revolution. Leipzig was once one of the major European centers of learning and culture in fields such as music and publishing. Leipzig played a significant role in instigating the fall of communism in Eastern Europe, through events which took place in and around St. Nicholas Church. 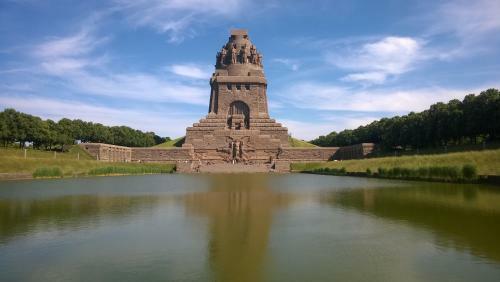 Leipzig today is the most livable city in Germany.